Who else is so excited that Summer is finally here?! Fun in the sun, vacations, summer movies, family adventures, and so much more are about to happen for all of us. If your stumped already on what to do this summer, don’t worry we’ve got you covered with this Kick Off Summer Giveaway! 15 of my favorite bloggers have put together themed, Summer Activity Packages that each value over $75! Packages filled with everything from healthy summer snacks, a family movie night, crafts and boredom busters (for the kids), summer pampering and fashion (for you), capturing summer memories, and so much more! 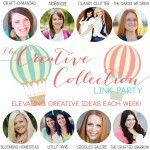 Are you ready for a chance to enter 15 AMAZING Giveaways AND meet some of our favorite blogging friends? 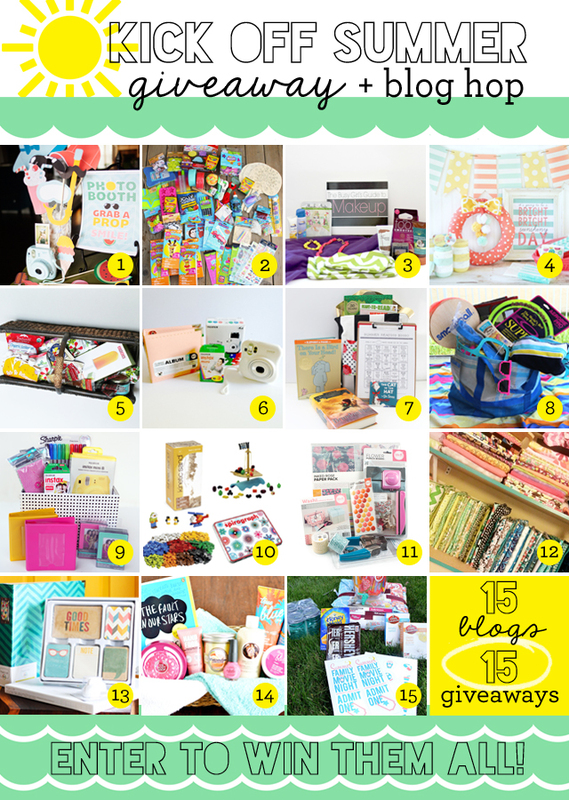 Welcome to The KICK OFF SUMMER Giveaway + Blog Hop!! 1. Scroll down in this post to see a more detailed description of what I’m giving away. 2. Enter my giveaway at the very bottom of the post. 3. Time to start “blog-hopping!” Click on each of my friends’ links below & enter ALL of their giveaways! 4. While you’re there, spend some time looking around the blogs – maybe you’ll find something or someone new that inspires you! Click on the links to view each site, and enter to win their “Ultimate Summer” package. 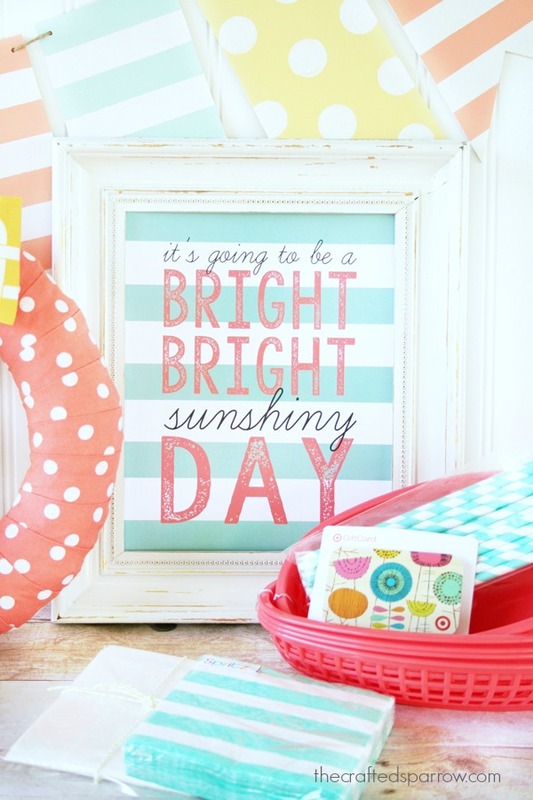 I’m giving away this fun & bright Summer Decor Package to one lucky winner! This package is valued at over $90, and is full of everything you will need to get your Summer started right. 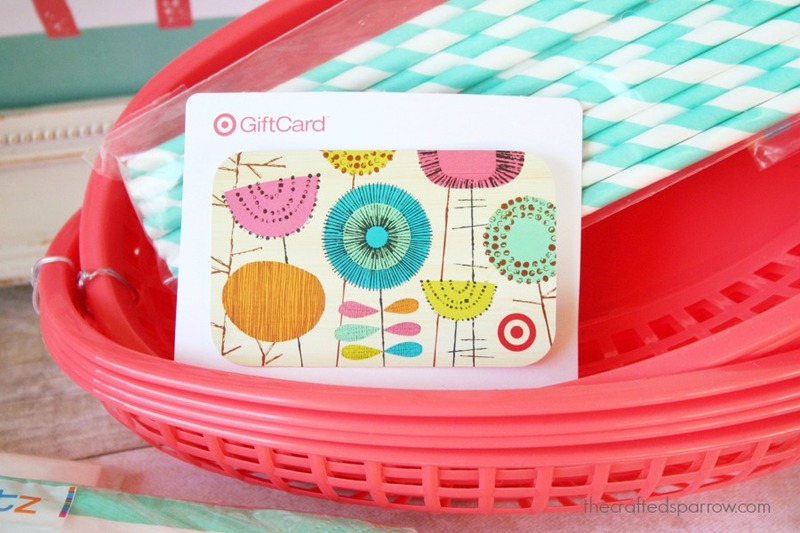 Enter to win below with the Rafflecopter widget! I custom painted 3 coordinating chalky finish mason jars for you to use as table decor, fill them with flowers or utensils and they will be a hit. I also created custom printables, and an 8 x 10″ printable & cupcake / food toppers. 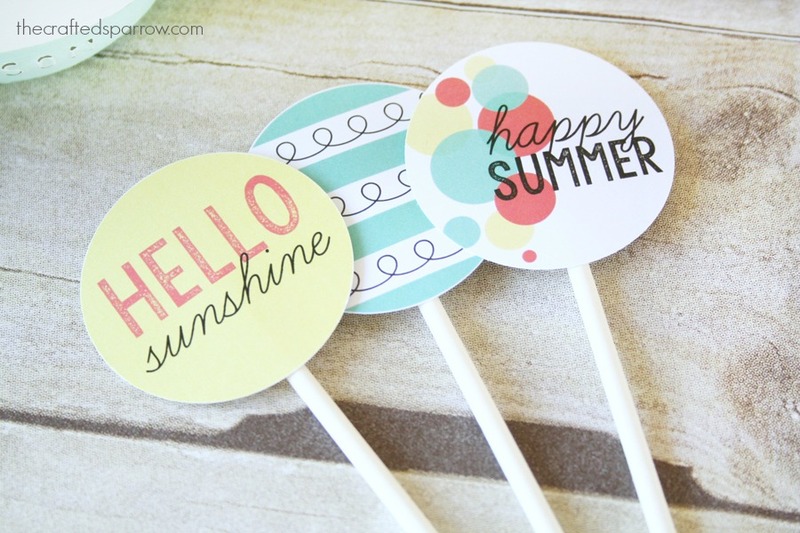 They are perfect for welcoming Summer. 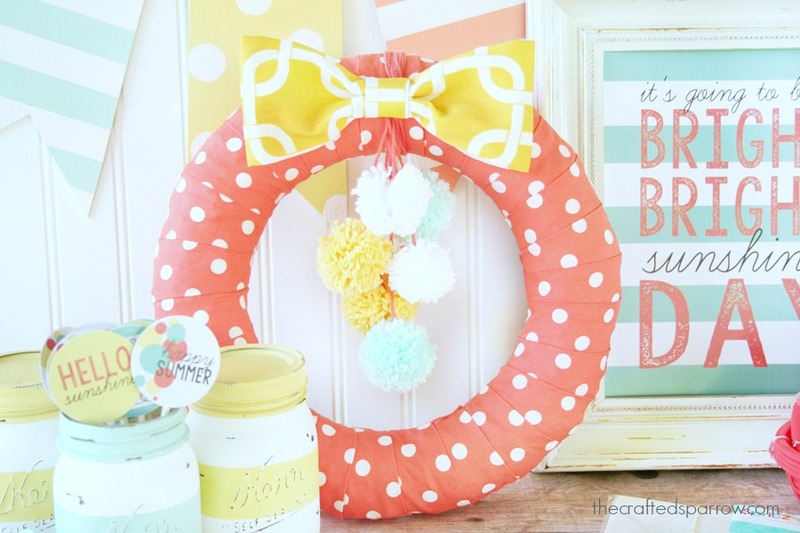 This coordinating spring wreath is the perfect way to cheer up that front door as you welcome guests this summer. 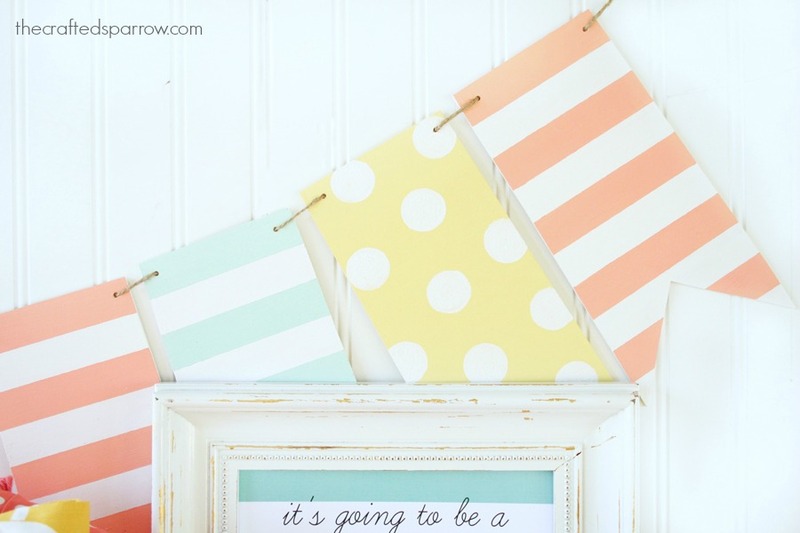 I also custom painted a fun wood banner, perfect for a summer mantel – entry way – or as party decor. 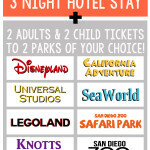 The Ultimate Southern California Giveaway! I dont know if this is an international giveaway but i am participating only for the joy of participation!Thank you!I love your crafts!! 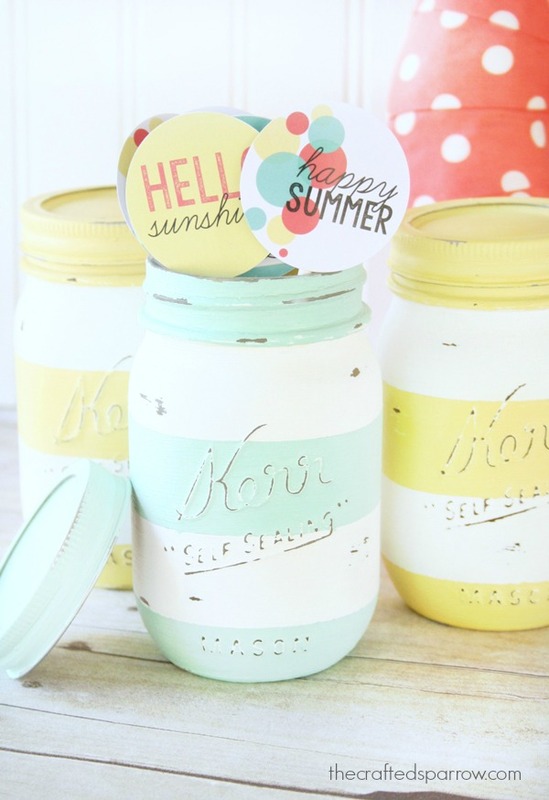 I really like your custom chalk paint on the Kerr jars, and the entire pkg! Thanks for a chance to win! Thanks! I love the Ball jars! 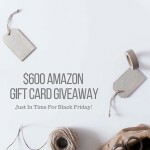 Great fun, your site and these giveaways! Hope im the lucky winner…fingers crossed! Thanks for this wonderful giveaway! It’s just my style! I love what you did with the Mason jars. 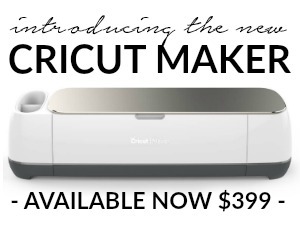 That’s one of the projects on my crafting list! Thanks Amy. 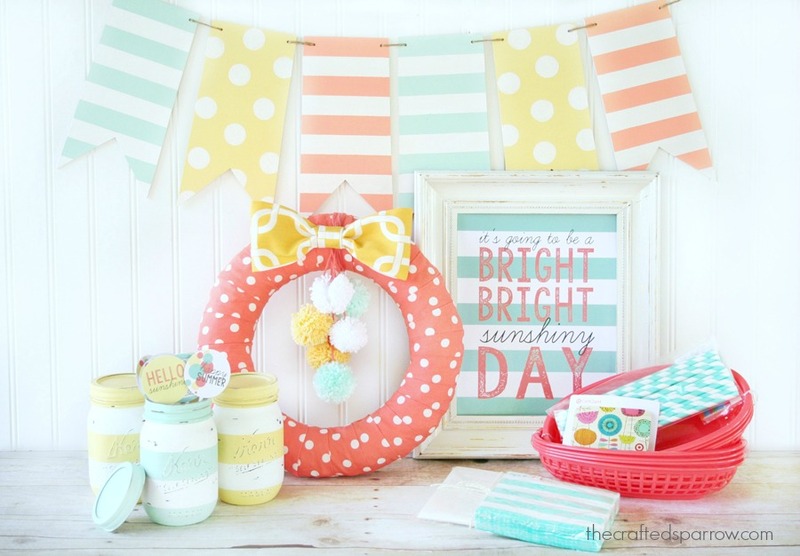 Those mason jars are seriously one of my favorite projects, if you don’t win them…you MUST make some! If you do they will make your so happy every time you look at them! 🙂 Good luck! Yes, I agree, they do make me happy to look at and I need to put them at the top of my to-craft list! i want to win!!! it’s all so pretty!!!! Thanks girl. 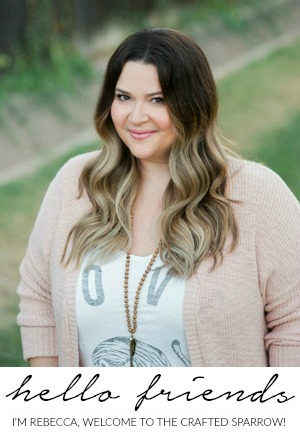 I love all the goodies you gathered up for the kiddos, my boys would flip over all that! I hope you have an awesome week! Thank you! Have a super week, and good luck! Fixing to move in my new house which will have my very own craft closet. 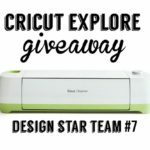 Would love to win so that I can stock up my craft room! No longer have to use the Kitchen table for Crafting even if I don’t win I am a happy woman. Oh my goodness EVERYTHING is adorable!! Everything is so cute. Love the colors that you have used here. 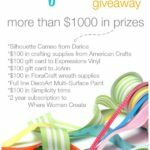 Your giveaway crafts are gorgeous! I love the colors! Thanks for such an Awesome giveaway! ! ♥ your designs! ! Love everything you create! Would be so excited to win this ☺ thank you for sharing your talents!